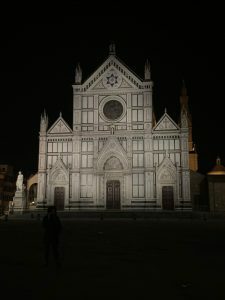 As my second week in Florence comes to an end, I would like to reflect on the moments in which I have not been kind to myself since my arrival. 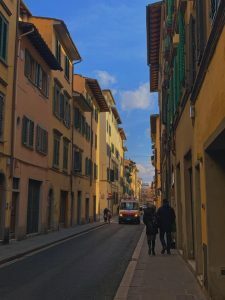 I admit I had this preconceived notion of what studying abroad would be like: I could picture myself traveling the world and living life freely and loosely without the strict guidelines that I’m expected to respect at home; and, in a way, I guess I have been living both freely and loosely, but with a void that I can’t seem to shake. 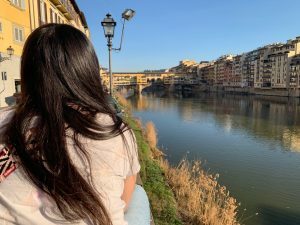 I am here to talk about the reality of studying abroad, and the importance of pushing through so that it does not hinder you from fully experiencing these life changing moments that we have been so lucky to receive. I had heard about culture shock, and heard about homesickness, but I never guessed that I would be among the first in my group of friends to experience it. It hit me on my first night here, as I laid my head on an unfamiliar bed in an even more unfamiliar place. I was no longer a three hour car ride from home; I couldn’t just call my parents or my friends – the realization that I would be calling this place “home” for the next four months was daunting and scary. 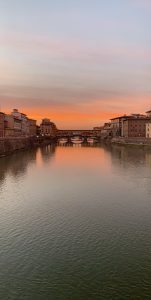 Ponte Vecchio at sunset = the most beautiful view! The homesickness comes in waves, and it is so easy to indulge in it rather than stepping back and realizing that I am beyond fortunate to call this place my temporary home away from home. I have quickly learned the importance of surrounding myself with a group of friends that are nothing short of compassionate, encouraging, and understanding. Even on mornings when I have woken up in tears, I step back to remind myself that I can either sit in bed and cry, or I can make each day count, and it has become comforting to find that there is always something to explore and always something to smile about. Since then, I have made it a personal goal to be more thankful for this life that I am able to live; I have made it a goal of mine to learn something new about Florence on a daily basis – whether it be walking a new bridge, or even crossing the bridge and getting lost in my new home, it has definitely aided in my ability to remain positive throughout these difficult times. Though, at first, I thought I was ready to go home, I now realize that I am not and that, once I leave, this place will also leave a void. 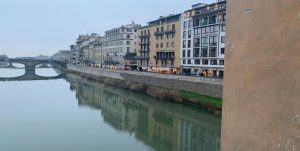 Ponte Vecchio is STILL lovely on rainy days! Rachel is a spring 2019 SAI Florence student from Winthrop University.